Offers a flawless image for simulator/impact screen applications. This 100% polyester 120" wide, meets FR spec NFPA 701 Large Scale applications. Based in New Jersey, Jason Mills is a warp knit manufacturer/convertor of knit mesh fabrics, with a focus on the industrial, commercial, military, healthcare and personal safety industries. The Jason Mills product line includes specialty, technical and commodity fabrics that are available either through an exclusive collection of stock or specialty made materials. Jason Mills will also research and develop fabrics to meet the end users individual needs. This soft FR 100% polyester 120" wide fabric offers high resolution, high reflective gain, bright luster, minimal bounce back and low noise. Meets NFPA 701 Large Scale standards. 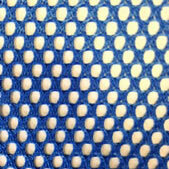 UV Resistant Fabrics – UV Resistance in the industrial textile market refers to fabric fade or degradation. Most polyester fabrics are nominally UV resistant and as such usually can be certified for minimal fade through 20 hours. Protection beyond 20, and up through 200 hours usually requires a UV inhibitor in the finishing or dye mix. UV protection beyond 200 hours would require yarn that is solution dyed (produced with dye in the fiber) thus making the product inherently UV resistant. The regional use is also important. Fabric destined for use in Arizona will fade quicker than what is required for Minnesota. Fire Resistant Fabrics – When producing an FR product it is critical that the end-use application be discussed to ensure the correct FR level is chosen. There are different degrees of resistance that are applied for various industries (i.e. indoor curtains, camping/tents, aeronautical and automotive, etc.). This high tenacity, abrasion-resistant 100% polyester fabric is tear resistance, has high tensile strength. 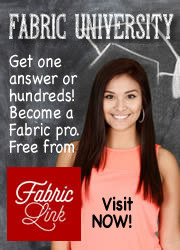 This 60" wide fabric is heat-set, fire retardant, and can be dyed to match any color. Tricot Knits – For end user applications such as high visibility vests, lamination substrates and apparel. Yarns for typical end users will range from 20 through 70 denier. Raschel Knits - Jason Mills utilizes industrial yarns ranging from 70 to 1000 denier. 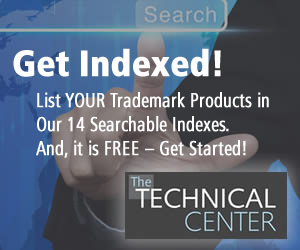 These are for standard industrial and commercial end users. 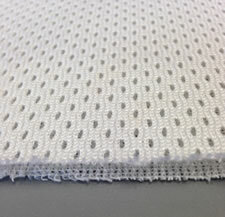 Spacer Mesh Fabrics – This mesh construction consists of 3 separate layers of fabric that are knit together, connected by a monofilament, cushioning yarn that connects and separates each fabric layer. The three-layer spacers are knit simultaneously in one operation on a double needle bar machine. Resembling a laminated neoprene, spacer fabrics have better durability, breathability and cost savings. Jason Mills’ technical tricot spacers target fire-resistant, UV-resistant, personal safety harnesses, apparel, automotive, aeronautical, outdoor accessories, and healthcare applications. This 70" wide 100% polyester spacer fabric meets FR Spec CAL117, is load bearing up to 1,000 lbs., is low shrink and washable. Patient sling applications. While the 100% polyester fabric is a solid fabric, it also functions as a screen by diffusing light and allowing airflow to pass through it. 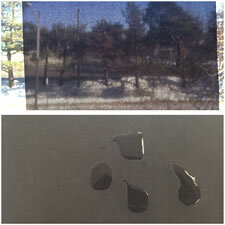 The image also shows the fabric's Water Repellancy. 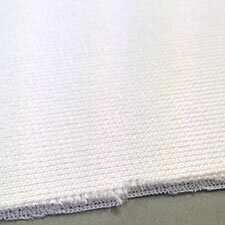 This fabric is 60" wide, UV Resistant, Fire Retardant, and Impermeable for tent and outdoor applications. Safety Vests for construction, highway maintenance, and traffic control applications that comply with the strict ANSI standards for luminescence and porosity. 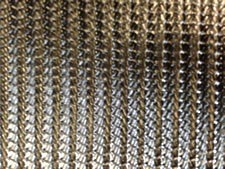 Sports Netting for baseball, golf, lacrosse, etc.